BBC1. 4 episodes: 1-23 September 1967. 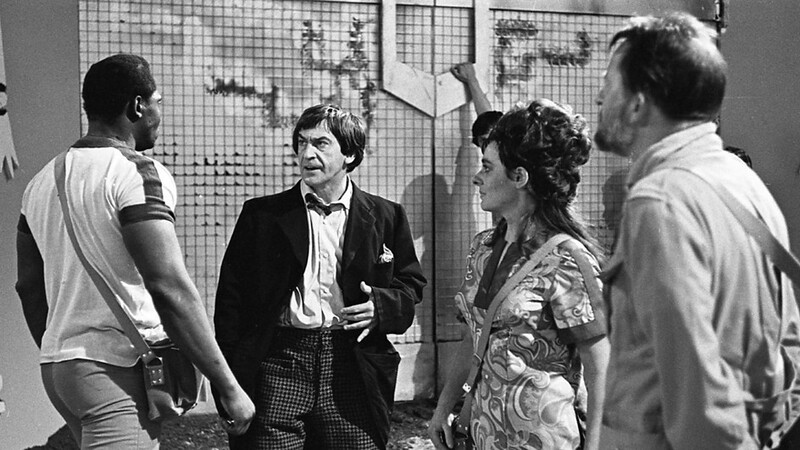 Starring Patrick Troughton as ‘Dr Who, Frazer Hines as Jamie and Deborah Watling as Victoria. Written by Kit Pedler and Gerry Davis. For many years ‘The Tomb of the Cybermen’ was a ‘lost’ Doctor Who serial: one of those junked by the BBC when it wanted to create space in its archives. This practice often baffles new fans but the simple fact was that, with rare exceptions, Doctor Who was generally not repeated – and when the series went into colour in 1970 it was assumed that non-one would be interested in the black and white episodes. It was not until the advent of home video in the 1980s that the BBC recognised the continuing commodity value of old Doctor Who episodes and a frantic search began for materials that were ‘missing, believed wiped’. In its absence ‘The Tomb of the Cybermen’ had acquired the aura of a lost classic: those who remembered it spoke of it with awe. I first read about it in Peter Haining’s book Doctor Who: A Celebration which was published to mark the twentieth anniversary of Doctor Who in 1983. Shortly later I caught up the Target Books novelisation by Gerry Davis so I knew what the story was even if I couldn’t get to see the serial itself. In the days before the release of old stories on VHS, and later DVD, the Target novels were the only way in which fans had access to old stories. For those of us born after Doctor Who had started, the Target novels were our only way of discovering what the earlier Doctors had been like. In 1992 I was delighted to hear that ‘The Tomb of the Cybermen’ had been rediscovered in the vaults of a Hong Kong television broadcaster and looked forward to its commercial release on VHS. My expectation was tempered by a sense of caution: quite often lost classics don’t turn out to be quite so ‘classic’ when they are no longer lost. After all a batsman’s standing is often higher when he is not in the current team. Fortunately any such fears were misplaced: as soon as I saw ‘The Tomb of the Cybermen’ I thought not only that it deserved its reputation but that it had in fact exceeded my expectations. 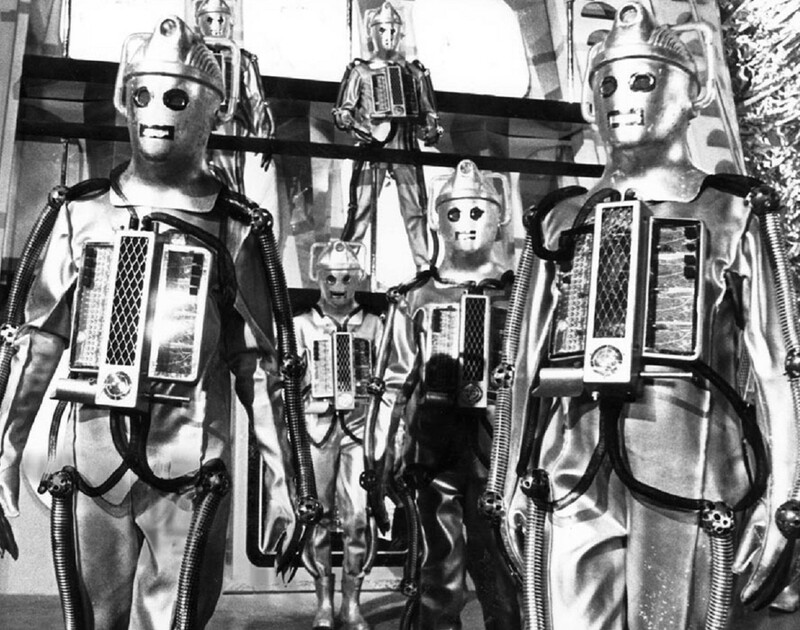 ‘The Tomb of the Cybermen’ was the first serial of Series 5 in 1967-68. This was the season when producer Innes Lloyd’s imprimatur can really be detected on Doctor Who even though he was already in the process of handing over the reins to Peter Bryant. Lloyd had decided to dispense with the historical adventures that had been such a major feature of the first three years of Doctor Who and to go full-out for monster stories. Series 5 is sometimes referred to as the ‘season of the monsters’: we had two adventures with the Cybermen (‘Tomb’ and ‘The Wheel in Space’), two with the Great Intelligence and its Yeti robots (‘The Abominable Snowman’ and ‘The Web of Fear’ – the latter another lost serial that has now been mostly retrieved) and the debut story of the Ice Warriors as well as ‘The Enemy of the World’ (also now recovered in its entirety) and ‘Fury from the Deep’. Cybermen, Yeti and Ice Warriors were all part of the series’ strategy to find new recurring monsters to replace the Daleks who had supposedly appeared for the final time in ‘The Evil of the Daleks’ at the end of Series 4. And of all these enemies the Cybermen were by far the best. Of course the Cybermen had a genre ancestry in science fiction. Cyborgs and other vaguely humanoid robots had long been a stable of pulp science fiction literature. Visually, the ‘look’ of the Cybermen as metallic silver giants recalls the robot Gort in the SF cinema classic The Day the Earth Stood Still (1951) – though he had turned out to be rather more benign. One of the things I like about the Cybermen is the way in which their appearance changes over time. In their first appearance in ‘The Tenth Planet’ – the final full adventure for William Hartnell’s Doctor – they had been lumbering giants carrying what appeared to be hair-dryers on their heads whose cloth-covered faces still revealed the human origins of what turned out to be the Cybermen of Earth’s twin planet Mondas. These Cybermen still betrayed some vestiges of individuality in the fact that they had names: their leader was called Krail. In subsequent appearances the Cybermen became more streamlined: what was initially a way of making the costumes easier to wear also became a means of depicting the evolution of the Cyber race as they shed their remaining human parts and became even more robotic in appearance. The Cybermen of ‘Tomb’ are Mark II Cybermen – largely the same type as had appeared in the second Cybermen story ‘The Moonbase’ – and have remained dormant for 500 years in their icy tombs in the city (not the planet) of Telos. 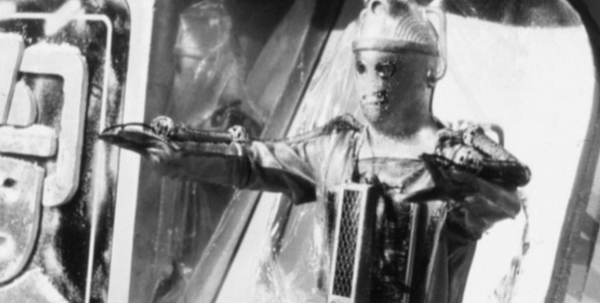 There are many reasons why I think ‘The Tomb of the Cybermen’ ranks as an all-time Doctor Who classic. On one level it’s representative of its period: the base-under-siege narrative that had first appeared in ‘The Tenth Planet’ was a characteristic story template of the mid- and late-1960s until it was supplanted by the Earthbound invasion narrative featuring more location shooting around the turn of the 1970s. ‘Tomb’ is not strictly a base-under-siege: or, rather, it’s a base under siege from within as an archaeological expedition arrives to excavate the Cybermen’s tombs. The instigator is Klieg, a megalomaniac who seeks to ally his superior intelligence with the strength and power of the Cybermen. Klieg – who we know from the outset is clearly a bad sort as he’s played in best ‘shifty foreigner’ manner by the marvellous George Pastell – is a characteristic Sixties villain: a logician who wants to re-order society along more, well, logical lines. This naturally involves establishing his own absolute power and eliminating all free thought. A similar breed of mad totalitarian technocrat crops up at the same time in ATV’s The Avengers. Indeed the new series of Doctor Who would borrow an idea from the Avengers episode ‘The Cybernauts’ when it suggested that the Cybermen of the alternate universe were created by disabled automation expert John Lumic. Yet at the same time ‘The Tomb of the Cybermen’ differs from other Doctor Who stories of the time. It’s one of the first occasions – indeed the first I can think of outside the Dalek stories – where the series began to refer to its own internal mythology. 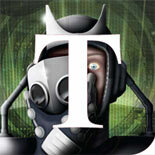 The expedition is here to find ‘the last remnants of the Cybermen’ who are now thought to be extinct. The Telosian Cybermen evidently know of the Doctor – and, moreover, recognise the Second Doctor – which places them in the same lineage as the Cybermen of ‘The Moonbase’. The Doctor also recognises that it was the defeat of their attempt to conquer the Earth in 1986 (‘The Tenth Planet’) that prompted their attack on the moon station in 2070. It was unusual in 1960s Doctor Who to make such direct references to past stories. The increasing self-referential framework that emerged in Doctor Who in the 1980s was to some extent a recognition of the fact that home video meant fans had easier access to stories. We also have a more manipulative Doctor than we’ve been used to in the past. His attempt to dissuade the expedition from opening the tombs seems half-hearted: indeed he actively colludes in cracking the logic code to open the hatch – which itself turns out to be a trap set by the Cybermen to identify those with a higher level of intelligence suitable for Cyber conversion. It’s as if the Doctor wants to go inside the tombs. This foreshadows the ‘Dark Doctor’ of the late 1980s when Sylvester McCoy’s Doctor always seemed to be a move or two ahead and often had knowledge which others did not possess. I expect there has been speculation in fandom that the events of ‘The Tomb of the Cybermen’ actually show the Doctor on a secret mission for the Time Lords – before the Time Lords were written into the series’ mythos. There are many other reasons for liking ‘The Tomb of the Cybermen’. It’s effectively directed by Morris Barry and the discordant music helps to create a suitably eerie feel to the story. The sequence of the Cybermen awakening from their sleep and emerging from their tombs towards the end of Episode 2 is a master class in building suspense and menace. The serial is also notable for the first important role for a black actor in Doctor Who in the form of Roy Stewart’s Toberman, loyal manservant of the treacherous Kaftan. Toberman seems to me nothing if not an homage to H. Rider Haggard’s Allan Quartermain. He dies while holding back the great doors of the tomb to seal the Cybermen inside: his last words (“They shall never pass Toberman”) recall the great warrior Umslopogaas of the Axe ‘holding the stair’. Doctor Who is often at its best when the cultural influences are apparent – and ‘The Tomb of the Cybermen’ is to my mind among the very best of Doctor Who. James Chapman is Professor of Film Studies at the University of Leicester and author of Inside the Tardis: The Worlds of ‘Doctor Who’ – A Cultural History, second edition, I. B.Tauris, 2013. This entry was posted on November 14, 2014 by Who Watching in Classic Doctor Who and tagged Deborah Watling, Doctor Who, Frazer Hines, Gerry Davis, Kit Pedler, Morris Barry, Patrick Troughton, Peter Bryant, The Tomb of the Cybermen, Top Ten.